Willow Tree: Terrence, the Willow Tree team thanks you for your mentions on Twitter! We’d like to know a little more about you, and where your appreciation for Willow Tree products comes from. Can you tell us a little bit about your background? Terrence Manning: We’ll it might surprise you to know that I am not a native New Englander. I’m actually from New Orleans and my family moved up to New England when I was a teenager. When I was in college on a basketball scholarship I started working at a barber shop in Providence. I feel like I’ve been a barber since I was 10. I became the barber for a number of basketball players from Providence College, and at one point Rick Fox was a client of mine when he was with the Lakers. Eventually I opened my own shop in Attleboro and I now have a number of Patriots as clients, as well as some celebrities. Willow Tree: Who are some of the folks you’ve had as clients? Terrence Manning: Teddy Bruschi, Junior Seau, Cory Dillon, Rodney Harrison, Kevin Faulk, Bill Bellamy, Larenz Tate (from Rescue Me), and Diggy Simmons. Willow Tree: That’s very cool Terrence. So tell us about your history with Willow Tree, and what makes you such a big fan. Terrence Manning: I had never had any chicken salad until I moved up here, and I have to say that when I first tried it (not Willow Tree’s, just chicken salad in general) I didn’t like it. I always thought it was pretty tasteless. Then an ex-girlfriend of mine got me into Willow Tree Chicken Salad. She loved it. I gave it a try and I was hooked. This has to be the best chicken salad I’ve had in my life! I don’t know what you put in it, but it’s amazing. Willow Tree: That’s great Terrence. Have you tried any other Willow Tree products? Terrence Manning: Eventually, I went to your store and tried the chicken pie as well. I love that too. What’s different about it is that it tastes so fresh. Now I bring the chicken salad to work for lunch. Usually I put it on a wrap with lettuce and tomatoes. 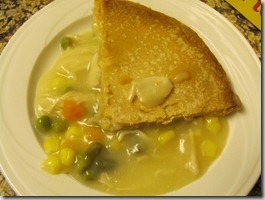 The chicken pie makes a great dinner. Willow Tree: You seem pretty busy. What do you do while you’re waiting for your Willow Tree Chicken Pie to cook? Terrence Manning: I’m usually blogging while it’s cooking. I always recommend Willow Tree to every one of my friends. I won’t eat any other kind of chicken salad! Willow Tree: Thank you Terrence! And much continued success with your salon.